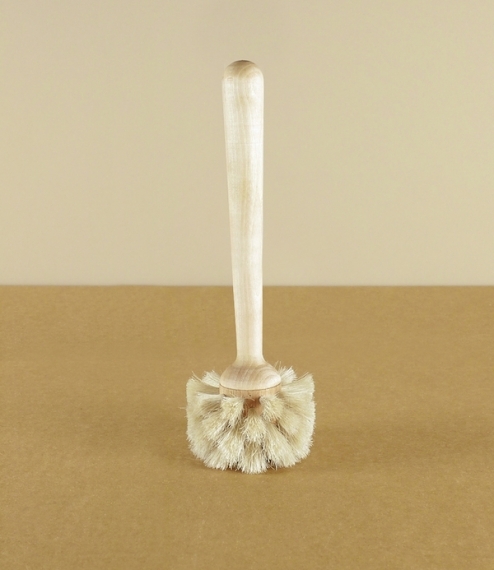 A handmade brush for the gentle cleaning of fine glassware, made from oiled birch and light horse hair. From the Swedish and Estonian workshops of Iris Hantverk, where visually impaired craftsmen find employment in the manufacture of hand sewn as well as machine bound brushes, made predominantly of natural and sustainable materials. With a cylindrical head these brushes possess both charm and function. About 22cm tall, with a head diameter of 7cm.